Thank you for visiting our webpage for the Department of Religion at the University of Georgia. Whether you are a student interested in majoring in Religion, seeking a graduate degree, desiring to fill a social studies or humanities requirement, alumni in search of an update on the department, considering or engaged in a religious vocation or one that might be related to religion, or someone simply curious about the department and the academic study of religion, we welcome you. Increasingly, students, scholars, and people in general are gaining deeper appreciation of the need to study religion. We comprehend more clearly how closely religion is related to or associated with practically every human endeavor, institution, and society in the world. How can we better understand and hope to interact more meaningfully with people near to us and in distant lands than by having knowledge of their values and customs, including their religious ideas and practices? 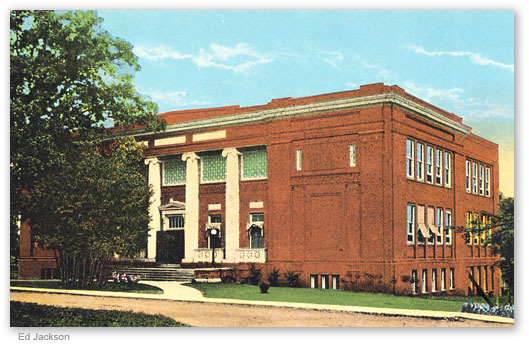 The University of Georgia’s Department of Religion is a fine place for pursuing studies in Religion for a number of reasons. First, we have superb faculty and students from varied backgrounds with impressive credentials and academic records, as well as diverse specialties, interests, and professional experiences. Second, our departmental courses cover a wide range of religions and approaches to the study of religion. Third, while our approach to the study of religion is objective and academic, we fully appreciate the importance of people’s personal and community religious commitments and the fact that some people do not have religious commitments. Fourth, we work diligently to maintain an environment in which we combine rigorous and serious study with genuine concern and mutual support for each other – students, faculty, and staff. Again, welcome to our webpage. And, feel free to touch bases with us first hand should you wish to know more about the study of Religion. "Increasingly, students, scholars, and people in general are gaining deeper appreciation of the need to study religion. We comprehend more clearly how closely religion is related to or associated with practically every human endeavor, institution, and society in the world." Congratulations Sarah Cook! She will be serving on the SECSOR board and helping Dr. Derrick Lemons plan and host this event. Anne Somerville is the first awarded by the department, recipient of the William L Power Scholarship. 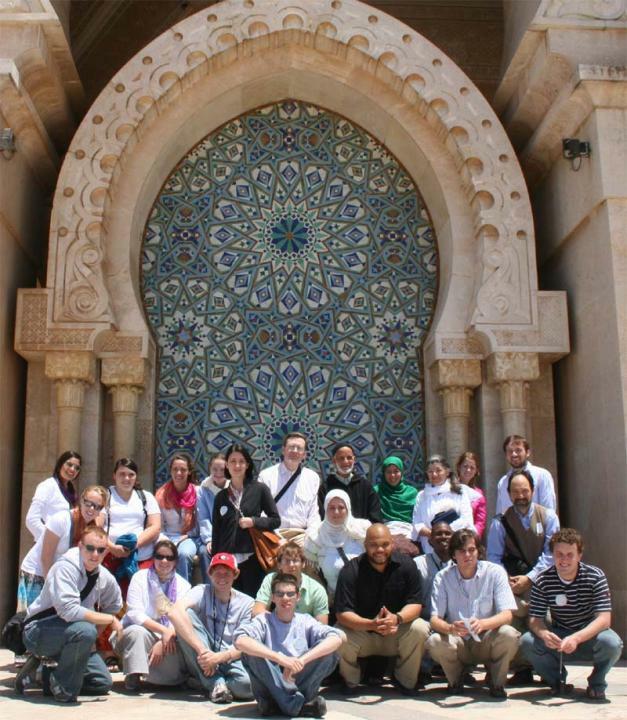 The overall aim of the program is to introduce students to an in-depth and first-hand understanding of Islam and Islamic culture in Morocco, in particular to Sufism (which is currently undergoing a revival in Morocco), Moroccan Islamic music, and Moroccan architectural art. In addition, through travel students will gain first-hand experience with both urban and rural geography: we will visit three major cities and a variety of villages off the beaten path as well as Moroccan mountains, valleys, plains, deserts, forests, rivers, waterfalls, and oases. Students will become acquainted with the socio-religious and socio-political issues that are shaping both the Islamic world and Morocco. Other objectives are to provide students with a beginning level facility in the speaking and comprehension of Moroccan dialectical Arabic, to give them a formal opportunity for intercultural dialogue with Moroccan students, and to introduce students to the concept of emotional intelligence in order to facilitate cultural adjustment to life in Morocco. The Religion Department is a wonderful place to study, thanks in a large part to the gifts of alumni and friends. 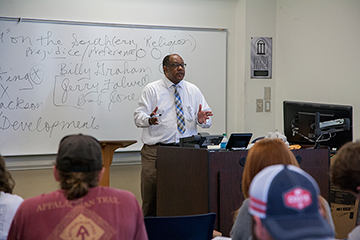 Our generous donors help the Department's mission by funding visiting speakers, offering events to welcome new students and helping to offer special programs to the Religion classes. We have a number of ways someone can contribute directly to the Department, either to the Religion Department Fund, the William L. Power Scholarship Fund, the Jewish Studies Program or the Virtual Center for Islamic Studies. Honor those who helped shape your love of Religion by making a gift today.